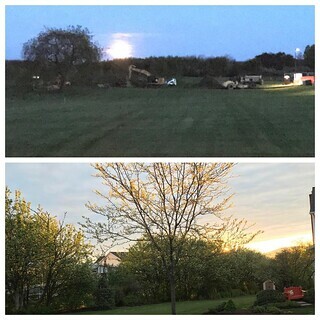 Beauty from start to finish of my run: top is the huge moon setting (looks brighter than it was at 4:30AM! ), bottom is the sunrise as I was finishing up. So much beauty and joy and love all around us ... we just need to reach out and grab it!